Have you ever wanted a turtle as your pet? Turtles are the cutest things we have seen. They come in their round shell and always prefer hiding inside. 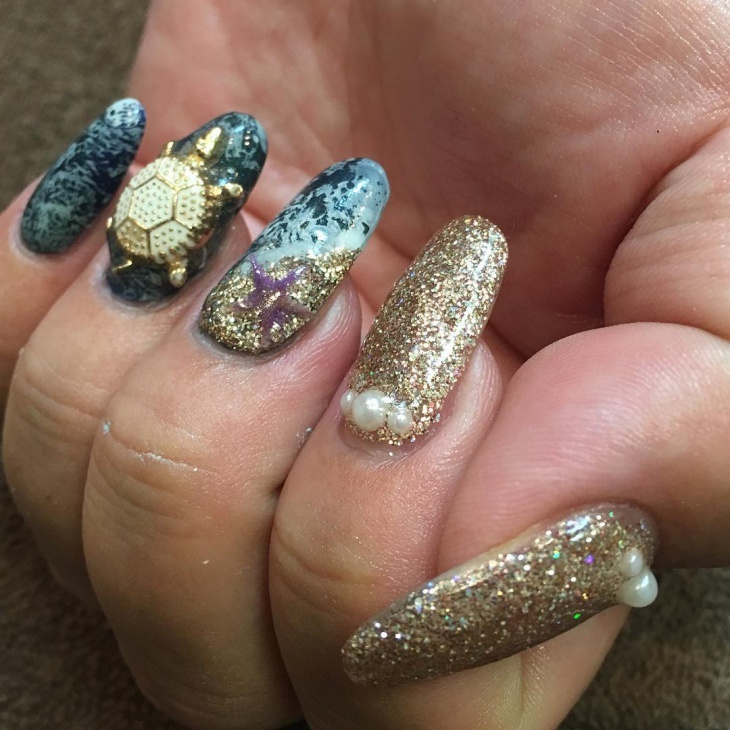 Coming to your nails, haven’t tried something different in a long time? 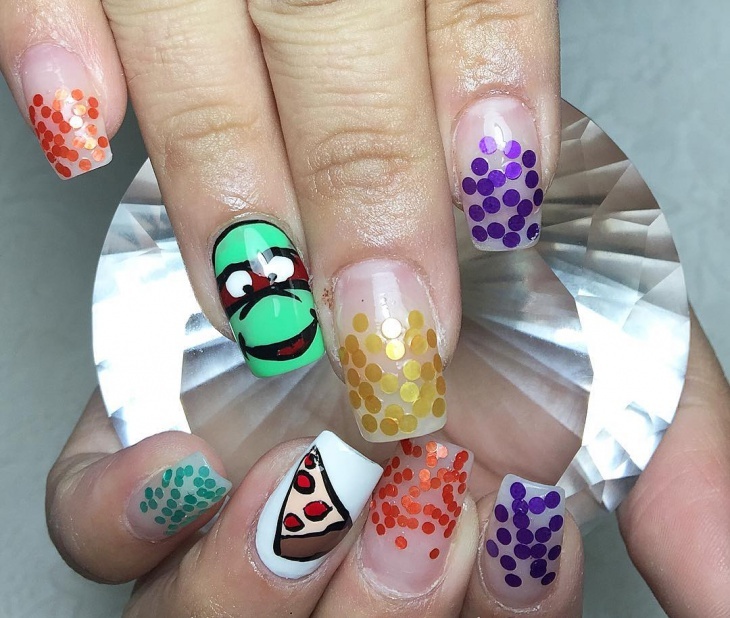 Want to show your creativity through your nails? 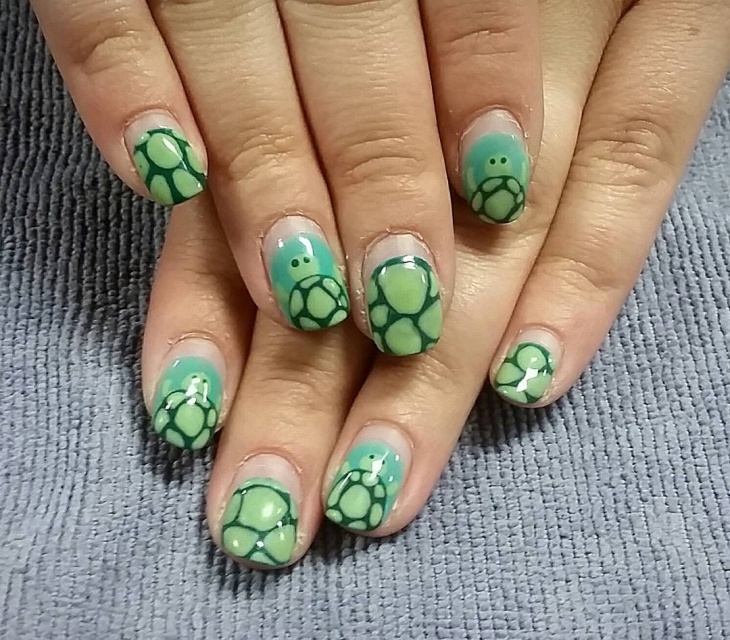 Well, we have 10 options with turtles painted on it to show you. They are out of the box, creative and you will definitely fall in love with it. Take a look at them and show those pretty nails off. 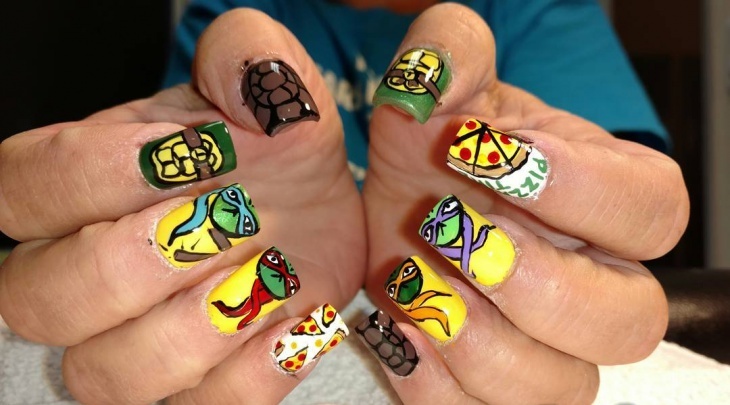 Have you grown up watching ninja turtles? If you have, you will love this design. 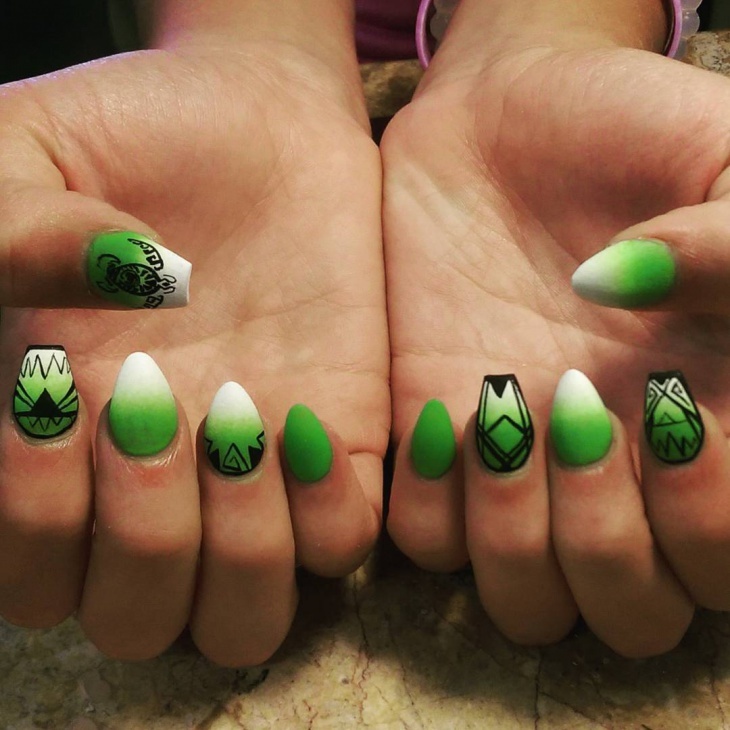 It was the best show and to get them on your nail is super cool. 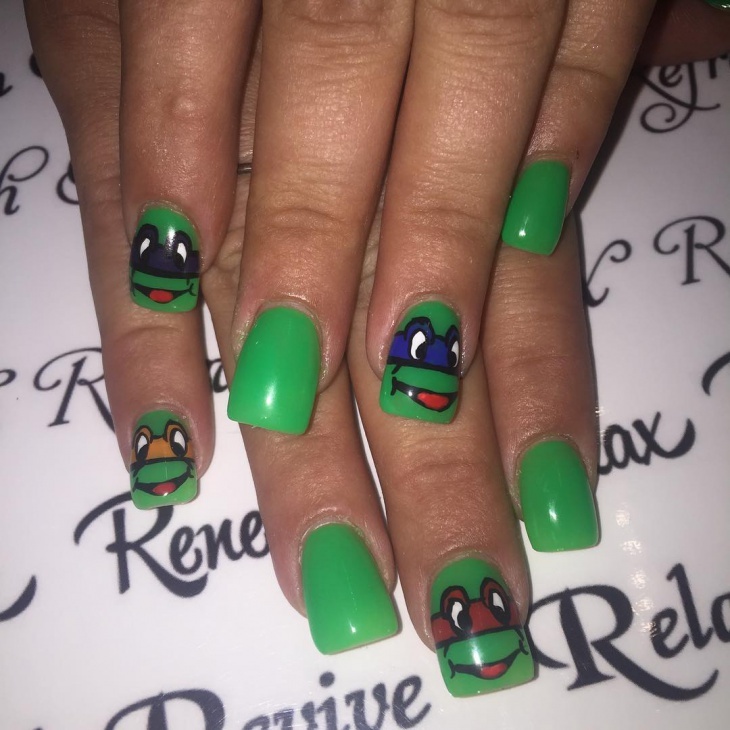 Each ninja turtle has been drawn out in his or her right colored mask. The yellow and green combination is an absolute representation of the show. These are just normal turtles drawn out but of course very cutely. The dark and light green combination is done perfectly and this design is an absolute delight to look at. The half done nail paint is also something different and nice. 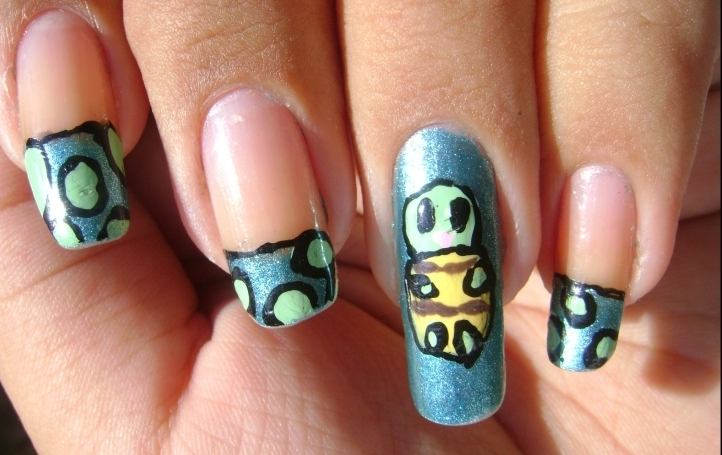 This is a funky design with shiny balls and one nail has a ninja turtle. 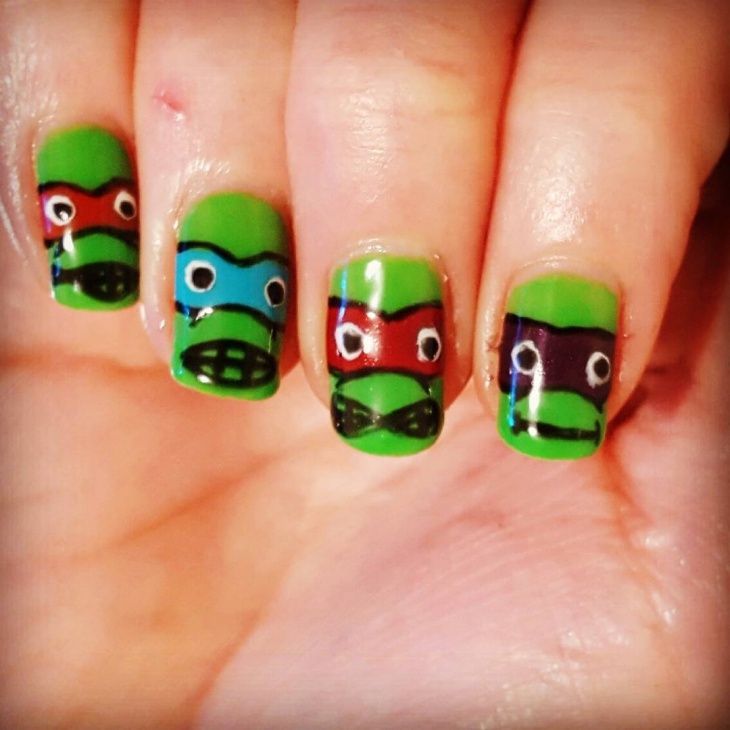 The ninja turtle being quite famous will grab a lot of attention when you wear it, even if it is your nails. Isn’t this extremely adorable? 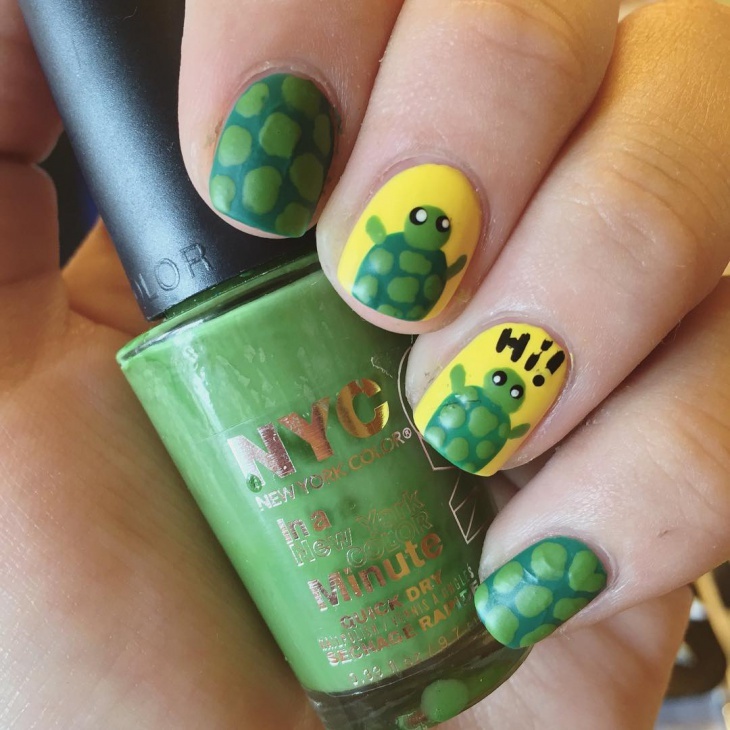 The color combination is perfect, the turtles are cute and smiling for us, which is again perfect. Then what more are we looking for. This is the perfect picture frame. You could wear this with jeans and flaunt it away. 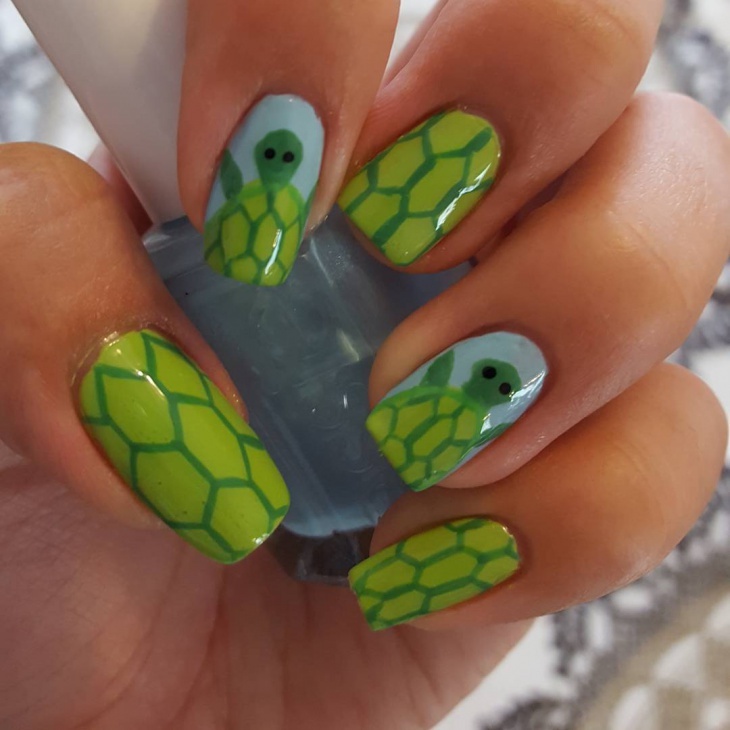 We have all heard of sea turtles and seen them in ‘Finding Nemo’, how about we see them on our nails as well. 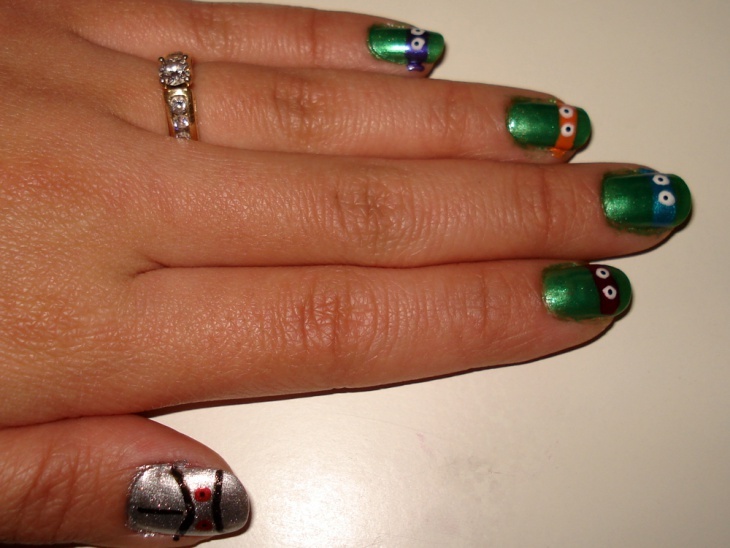 This has only one nail with the turtle whereas the others is a blend with green glitter and white paint. 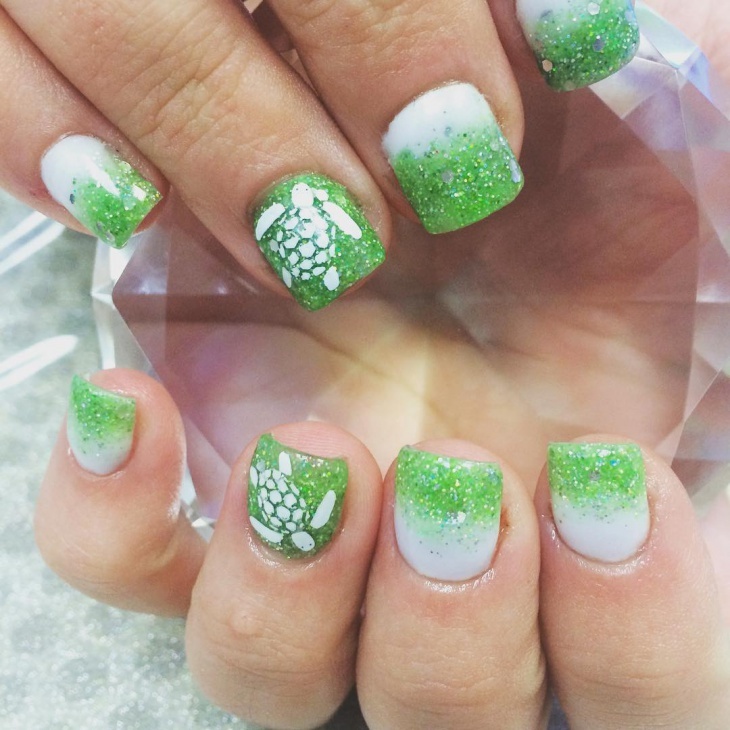 You will be gleaming with nails like this. This is not done with much detailing or finesse but is very cute to look at. 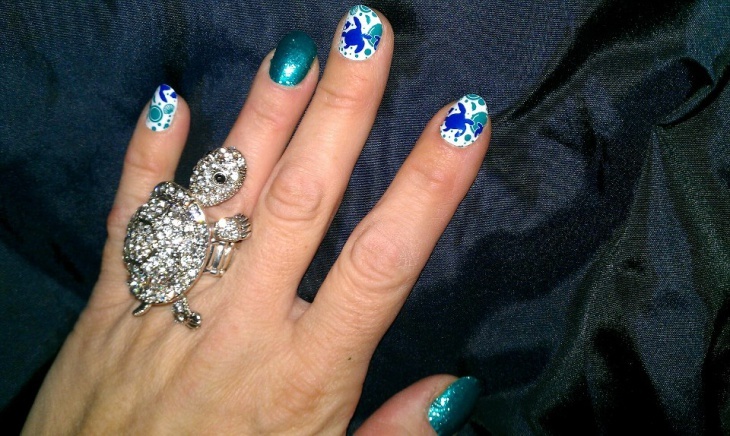 The glitter, of course, makes a huge difference and gives out the perfect look with the cute little turtle drawn out. 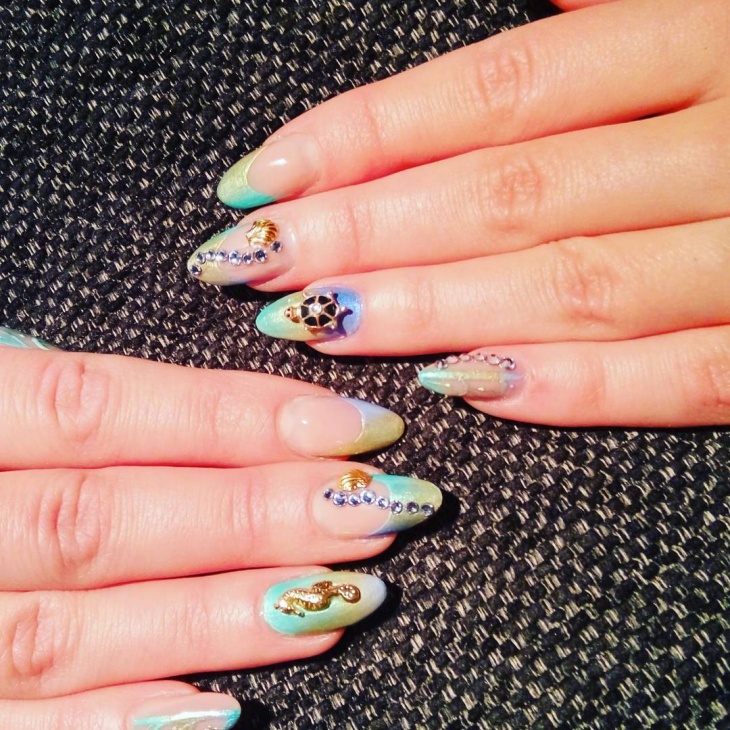 Nice would be the word to define this nail art. 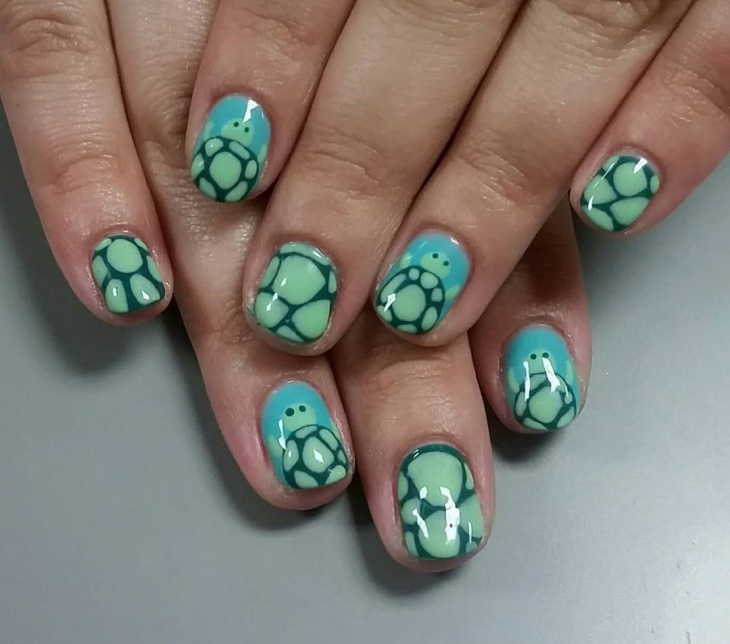 Blue is the sea and the sea turtles are swimming in it, this is what this nail art is about. Make sure you do add glitter, even though it is shining, you can’t deny the fact that they will look extraordinary. The color combination is delightful. 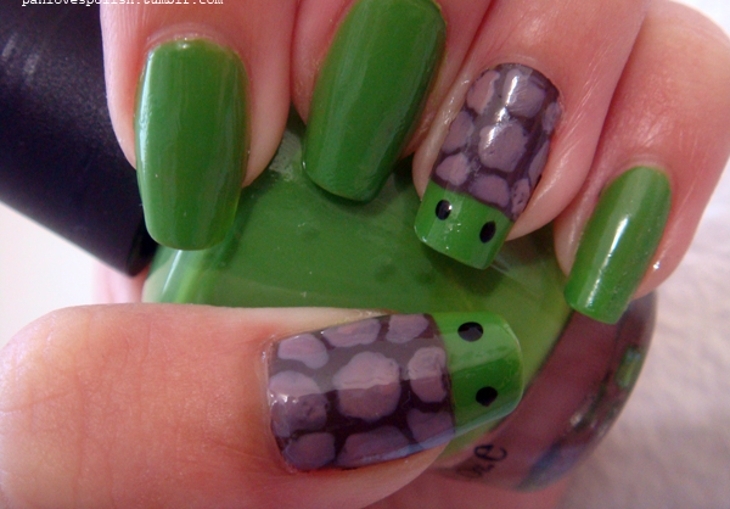 This nail is just the turtle shell. The outlining is done well and the colors used are perfect. 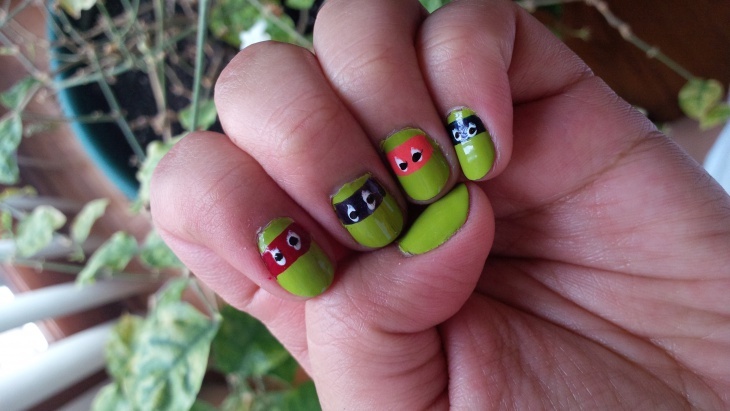 It is a very pleasing nail art to look at. 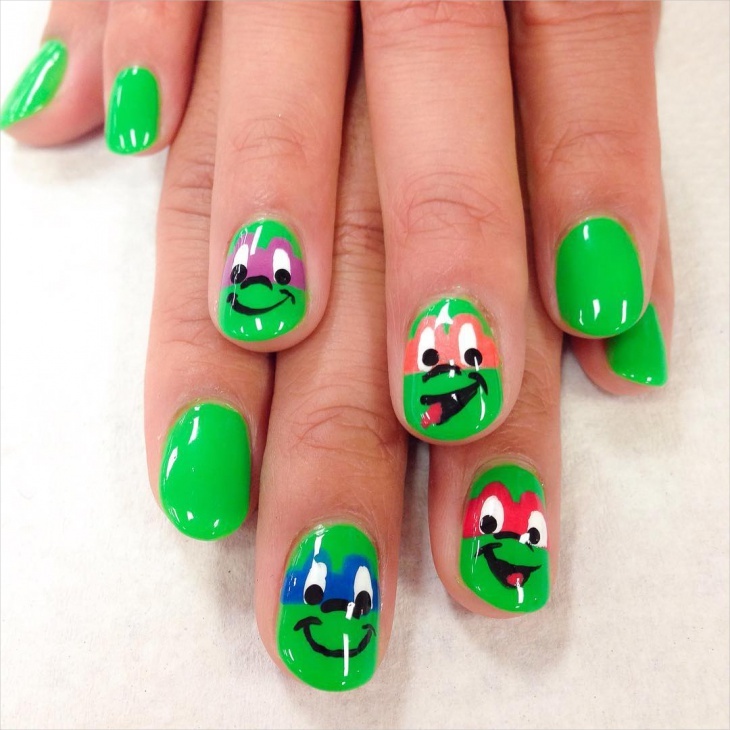 Ninja Turtles are quite trending in spite of not being on TV for all these years. This shows the craze and love for this show. 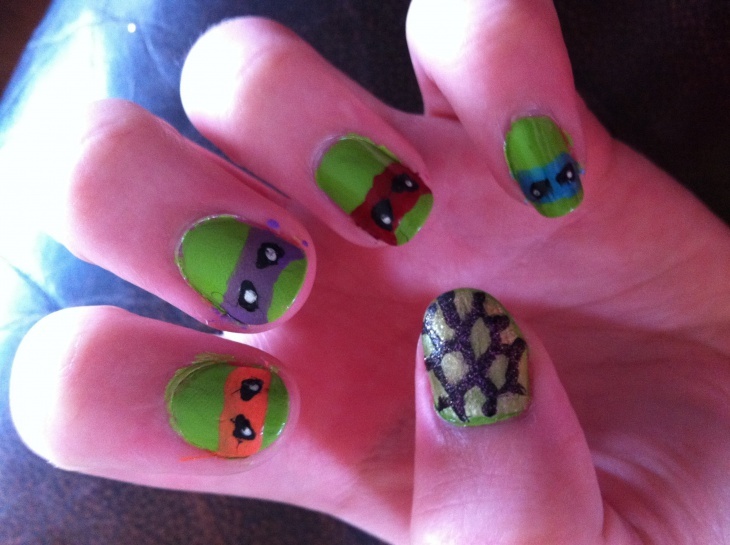 The show was amazing but the turtles were better and that’s why we love this design. It is cute and we absolutely think they are amazing. All these designs are visually appealing and are going to make you stand out, creatively at least for sure. 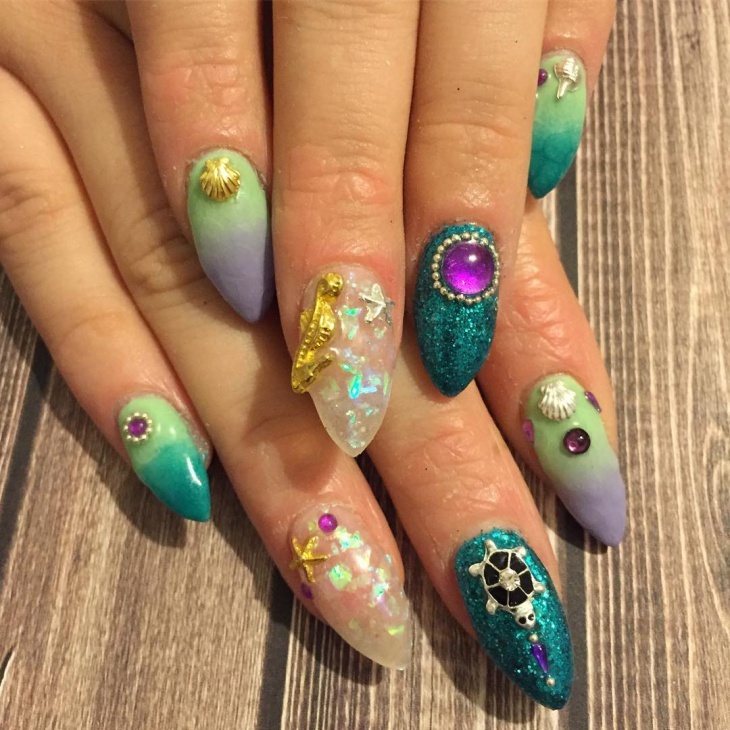 They are more than a simple nail art and that’s why we are suggesting them to you.